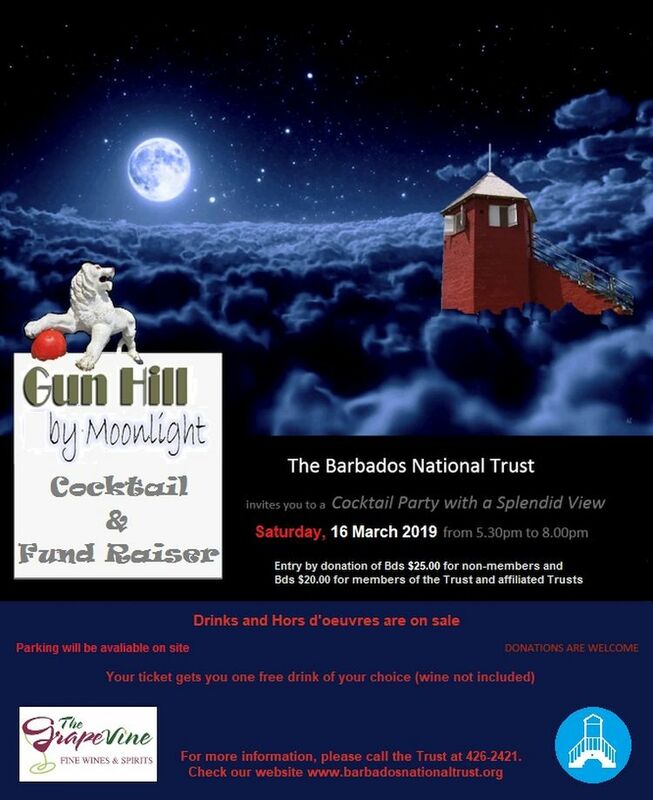 Known colloquially as 'The Howling', this is a cocktail party given by the Barbados National Trust on the site of the Gun Hill Signal Station, Gun Hill, St. George. On a clear evening, there is a spectacular view of the south and parts of the west coasts. One can see both the sun set and the moon rise, while indulging in drinks and hors d'oeuvre. There is a bugler and a ceremonial lowering of the flag at sunset. Your ticket entitles you to one glass of Sangria or a soft drink of your choice. Eats and finger food will be for sale as well as Beer, Rum Punch, Wine and assorted spirits. 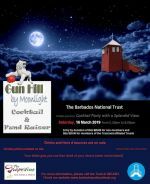 The event takes place on Saturdays closest to full moon during January to May/June each year.